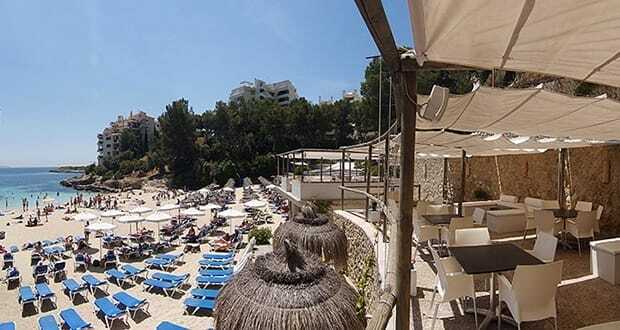 Balneario Illetas, also known as Las Terrazas, is a full service beach club that sits right on the edge of the beach in Illetas, just a 10-15 minute drive from Palma. Balneario Illetas attracts a young crowd looking to enjoy a full day at the beach while having attentive service, activities and good food. 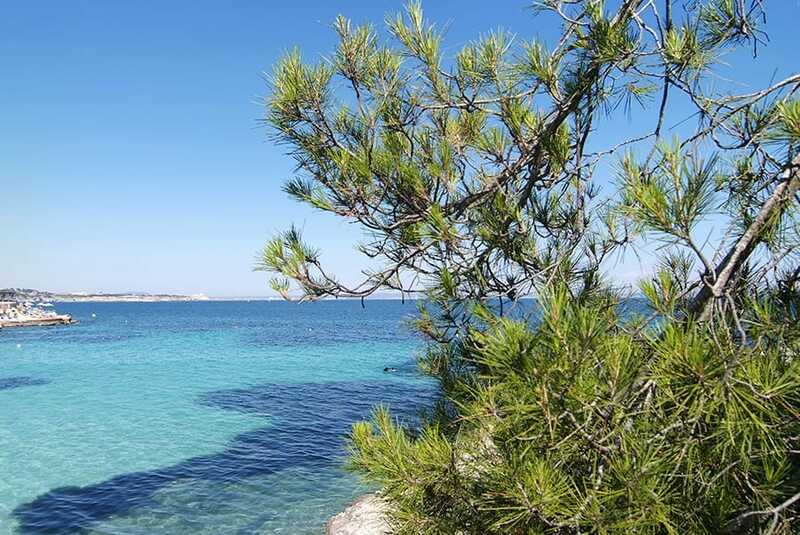 If you picture an ideal escape as sitting on the beach surrounded by the hum of chatter and laughter, enjoying drinks with friends or giggling with a love interest, then Balneario Illetas is where you need to go, and fast. 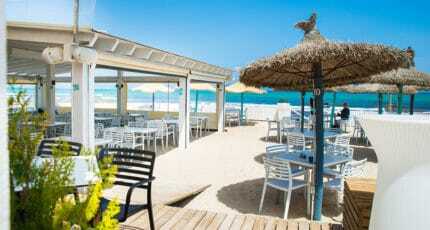 This beach club manages to encompass the traditional concept of the ‘Chiringuito‘ beachside bar with a touch of sophistication without trying too hard. You can go there in your jeans or shorts and feel quite at home with a bottle of beer in hand while you unwind to the latest lounge music. Or you might want to sit in one of the comfortable sunbeds on la terraza, listening to the sound of the waves hitting the shore interrupted only by the odd cry of excitement from kids playing on the beach. Balneario Illetas works so well because they have found the right balance between beach bar and chillout lounge offering food and drinks at excellent value. The restaurant and lounge space capture a true Mediterranean feeling, with the warmth of the stone walls, white awnings flowing overhead, and comfortable couches to really relax in. One of their most popular dishes is chicken or pork skewer with vegetables served on a half meter high skewer which leaves you wondering how you are going to eat it! If you just want ‘cosas para picar‘ there are lots to choose from on the hot and cold starters menu. If you need something more substantial you can choose from pasta or a variety of meat dishes. They have a good selection of wine and cocktails at various price levels. 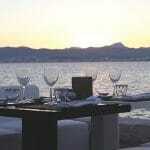 Balneario Illetas has great customer service that is attentive and discreet. They offer a special “Sail Away” service that offers a selection of food and drinks that can be served to anchored boats. They also have a small boat for transfers should you want to come onshore to the restaurant to eat. Bodhana Wellness Centre offers a range of massage and beauty treatments at Balneario Illetas beach club for the ultimate in relaxation on the beach. Parking is available for clients and reservations are required 24 hours in advance. 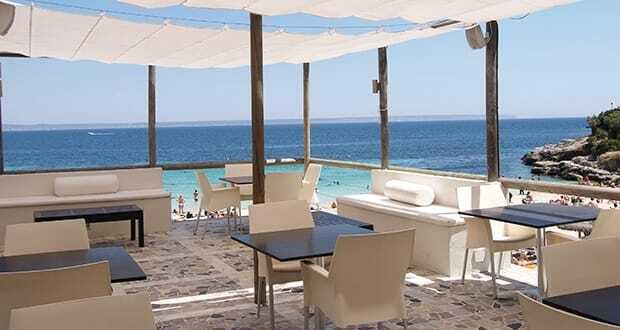 Balneario Illetas is open from March through October. In peak summer months, the kitchen is open all day from 9:30 to 23:30. 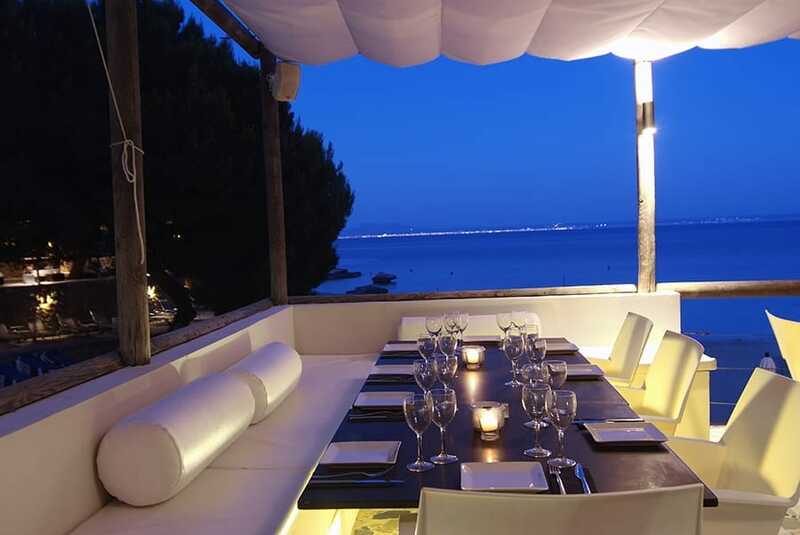 If you are dreaming of the ultimate escape restaurant beside the sea, enjoying chill-out music with contemporary, Mediterranean food you should visit Balneario Illetas. 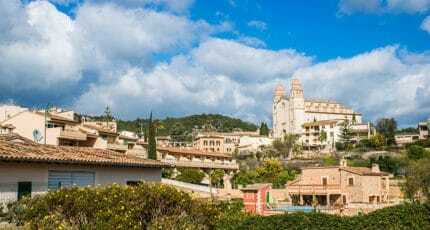 We hope you have found this article about the Balneario Illetas Beach Club useful and that you have many memorable stays in Mallorca as a result of our recommendations.